before they become big things. Battery voltage (very important with all of today’s onboard electronics). Power balance or dynamic compression (to identify any mechanical problems such as leaky exhaust valves, worn rings, bad head gasket, bad cam, etc. that could adversely affect compression and engine performance). Engine vacuum (to detect air leaks as well as exhaust restrictions). Scan for fault codes (to verify no fault codes are present, or to retrieve any codes that may be present so they can be diagnosed and eliminated). Check exhaust emissions (highly recommended in this area due to PA state emissions testing program). Verify idle speed (should be checked even if computer controlled to detect possible ISC motor problems); Idle mixture (older carbureted engines only, but injector dwell can be checked on newer vehicles to confirm proper feedback fuel control). Check ignition timing — if possible (should be checked even if it is not adjustable to detect possible computer or sensor problems) Operation of the EGR valve. 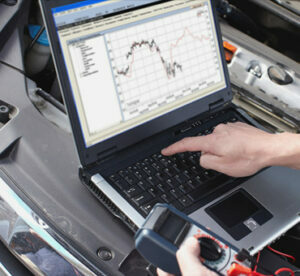 In addition to these performance checks, hoses and belts should be visually inspected. 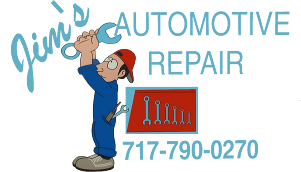 All fluids (oil, coolant, automatic transmission fluid, power steering fluid and brake fluid) should also be inspected to make sure all are at the proper level, and that the appearance and condition of each are acceptable. There should be no sludge in the oil, the ATF should not smell like burnt toast, the coolant should have the proper concentration of antifreeze and not be full of rust or sediment, the brake fluid should be clear and not full of muck, etc.